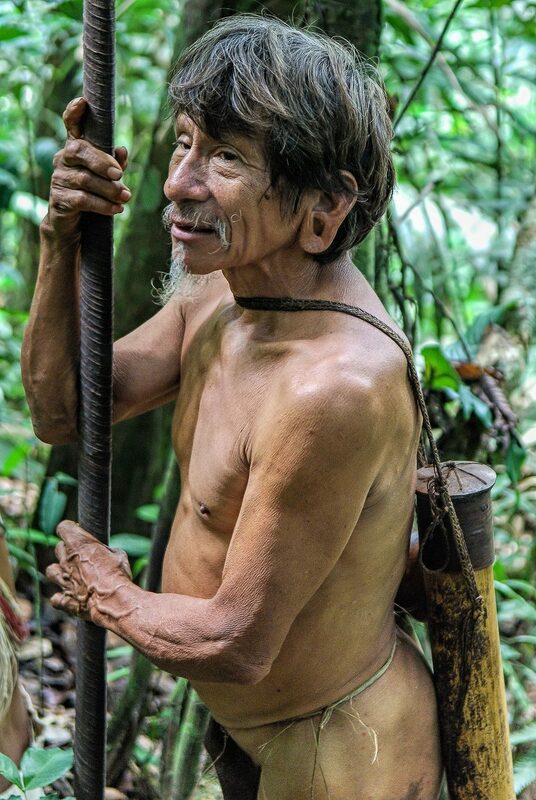 Mocka, an old Huaorani warrior between 60 and 70 years old (no one knows) with his blowpipe. 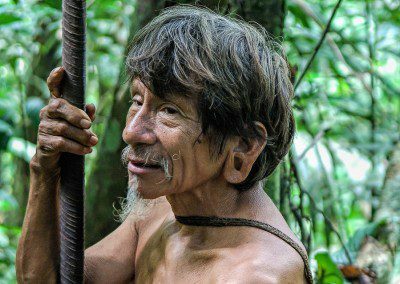 He was an exceptional guide, he knew everything, the names of birds and snakes, plants and rivers, the fruits and poisonous seeds. He only spoke Huao and very few words of Spanish, but his intelligence and sense of humor made everything clear and easy. 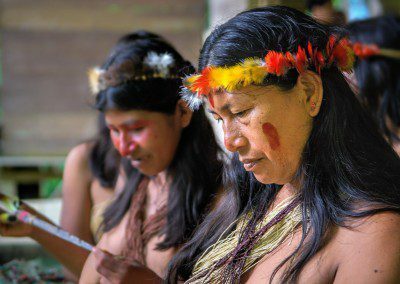 The Amazon has a formidable strength and presence. You can sense it in its depths, in its intricate monotony and the powerful life force that stirs within her. 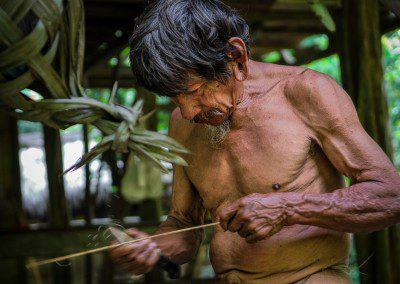 Only with a native guide can you truly appreciate it and be ready to admire the beauty and the richness of that exceptional medium.